Connected sprinkler company Rachio has made it big, with its Iro connected sprinkler system going on sale in 900 Home Depot(s hd) stores nationwide. The Wi-Fi-connected Iro costs $249 and is now on sale alongside other connected products at Home Depot, such as the Revolv home hub or a variety of Zigbee and Z-wave switches and locks. For a company that only shipped its first product three weeks ago, getting a major big-box store to stock its products is a pretty significant coup, so I asked co-founder Chris Klein how he did this and what he’s learned. 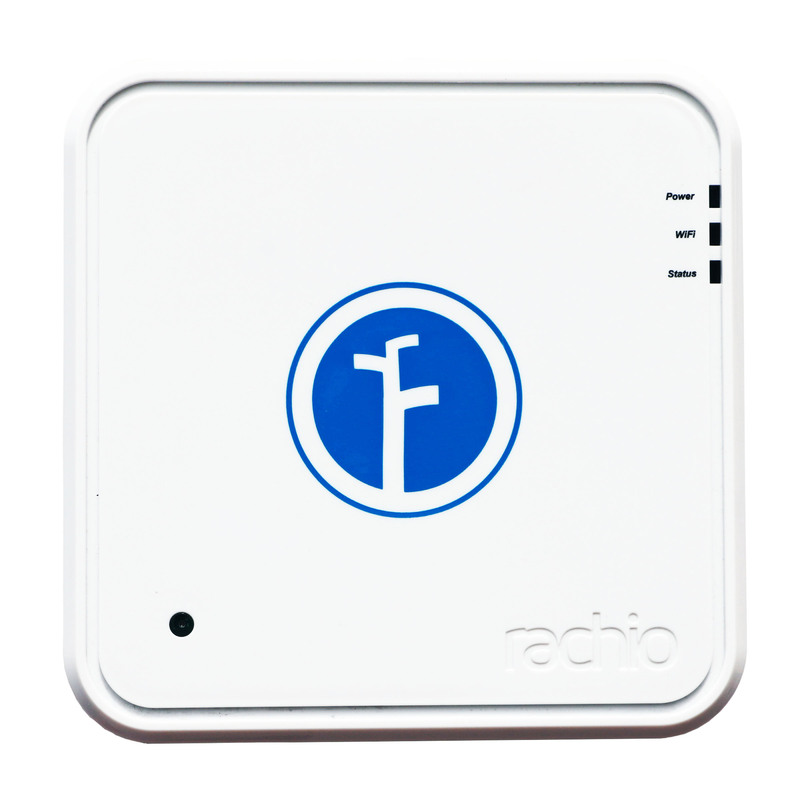 Rachio was founded in Denver after the co-founders noticed sprinklers going off in the rain. They decided that connectivity and intelligence could prevent water waste — a problem that is plaguing drought-ridden states like California and Texas. So they built a replacement controller that took in weather data and other information to learn when to water your lawn. The company took the top prize in the product showcase at our 2013 Mobilize conference (now Structure Connect) and had already begun taking orders. Those pre-orders shipped this May, so the team has had a few weeks to gather feedback from those initial customers in prep for the nationwide launch at Home Depot. But getting it in stores took a while. Klein said that initially someone at Home Depot had seen the connected sprinkler online in October 2013, and thought it might fit at the chain given general concerns about water waste. A buyer from Home Depot got in touch with Rachio and asked for a demo. Klein and his team flew to Atlanta in November to install a prototype in the buyer’s yard. The trial was a success and Home Depot asked for 10,000 Iros to stock its shelves. Unfortunately for Klein, Rachio getting the money together to front the manufacturing of 10,000 Iros wasn’t possible. The sprinkler system is made in Colorado and Klein said that despite all of the company’s manufacturing partners working with them, they just couldn’t get terms that would work. “We have great terms, but there too much risk for everyone.” While Rachio has a convertible note, it doesn’t have venture backing, a fact that Klein attributes to Rachio being a 6-man shop and the team spending most of its time getting the product right and out the door. The Iro controller up close and personal. So after realizing that getting Home Depot 10,000 Iros by June wouldn’t happen, Klein called his buyer a told them what was going on. They worked a deal where Home Depot would accept 6,000. “We never hid anything,” Klein said. Meanwhile, he says that the companies working with Rachio on the manufacturing side were working all out to deliver pre-orders as well as get ready to stock Home Depot. And the small Rachio team has been trying to get as much information from their initial beta customers in the last three weeks to understand what they need to change before putting Iro in front of the mainstream consumer. Some of the tweaks are easy tweaks to the app to make instructions a bit clearer or to improve the interface. But others might change how the team thinks about its growth strategy. Klein says that in many cases customers haven’t yet started their annual irrigation when replacing their old controllers, which meant they hadn’t tested the sprinkler heads and lines. But if those don’t work, it looks like the controller itself doesn’t work, meaning the Rachio team spent long hours on the phone helping customers figure out their problems. Which means that in addition to manufacturing more controllers once it gets capital, Rachio may need to hire more customer service people.